Beautiful oversize sweater, also worn as a dress. There are two pockets in front. The collar can be buttoned and also be worn as a turtleneck. The sweater is very nicely cut in the back. Very good condition. 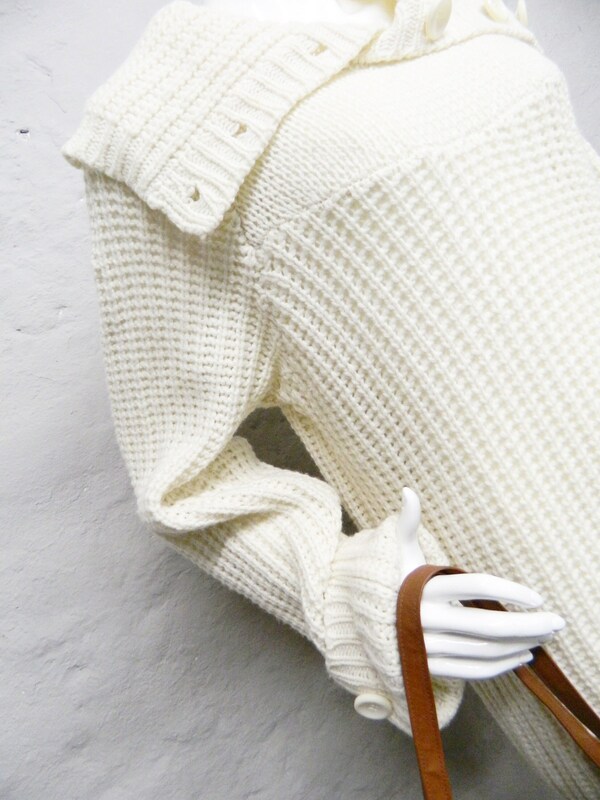 Wonderful oversize sweater, also as a dress to carry. In front are two pockets. The collar can be buttoned and also carried higher. Behind the sweater is cut particularly nicely. Very good location. Length 82 cm, 32 "
Chest 56 cm, 22 "